of nostalgic, vintage, and timeless things. They are very unique and fun to collect. with each becoming its own treasure. And some aren't even a button at all! My fascination with M.O.P. just began this past year. I start to dig through and look for these old gems! * M.O.P comes from the inner layer of a certain type of shell called nacre. 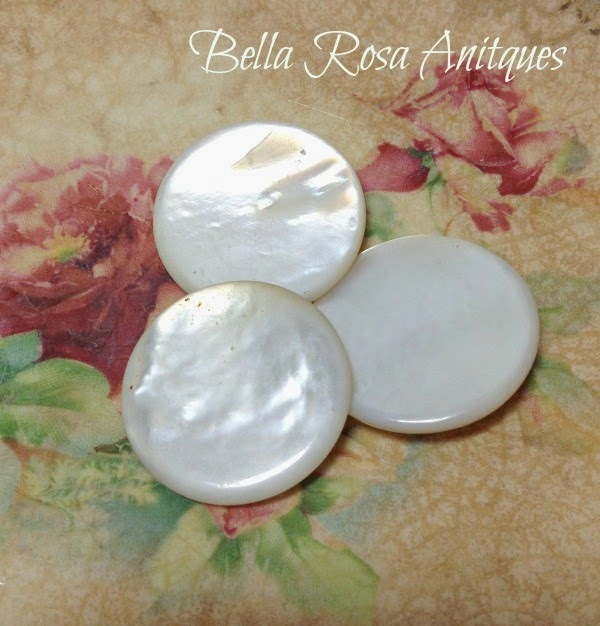 *Widely used for pearl buttons especially during the 1900s, were the shells of the great green turban snail and the large top snail. 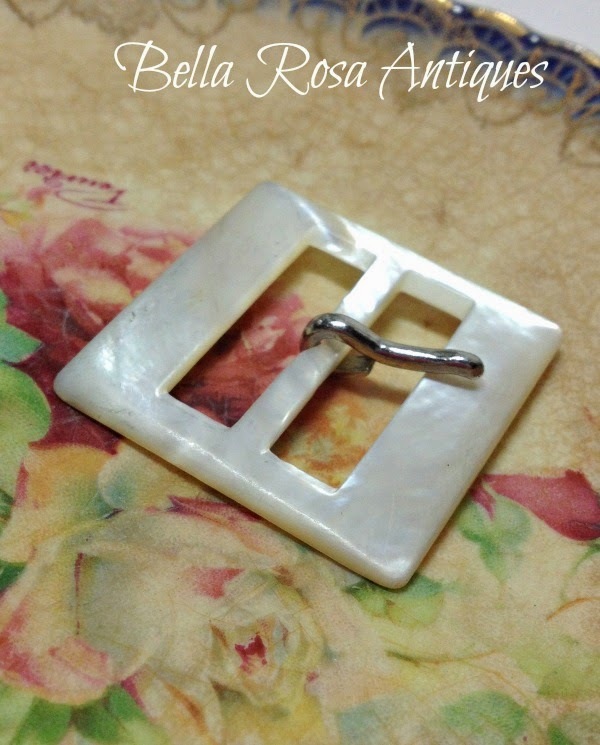 *The international trade in mother of pearl is governed by the Convention on International Trade in Endangered Species of Wild Fauna and Flora, an agreement signed by more than 170 countries. Wow! All the information you needed to know and more! 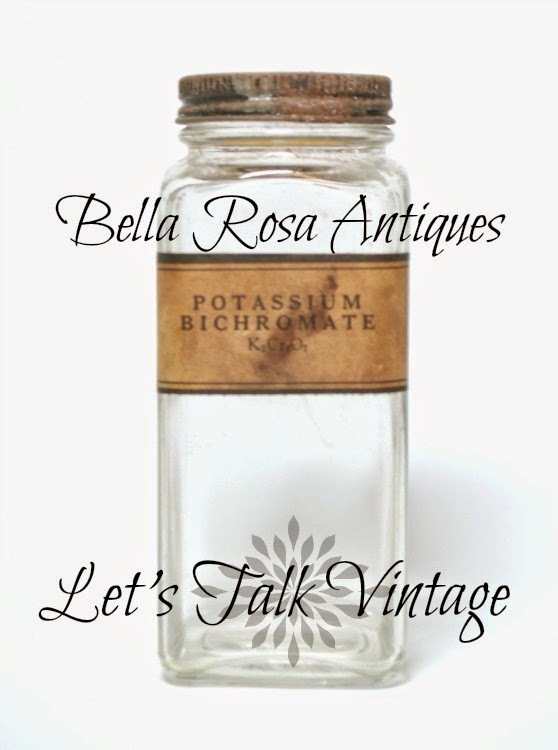 It is very interesting to dig in and discover the who, what, when, where, and why of vintage things, isn't it? The little girl patterns are adorable! she uses it in the future! Now it's your turn! 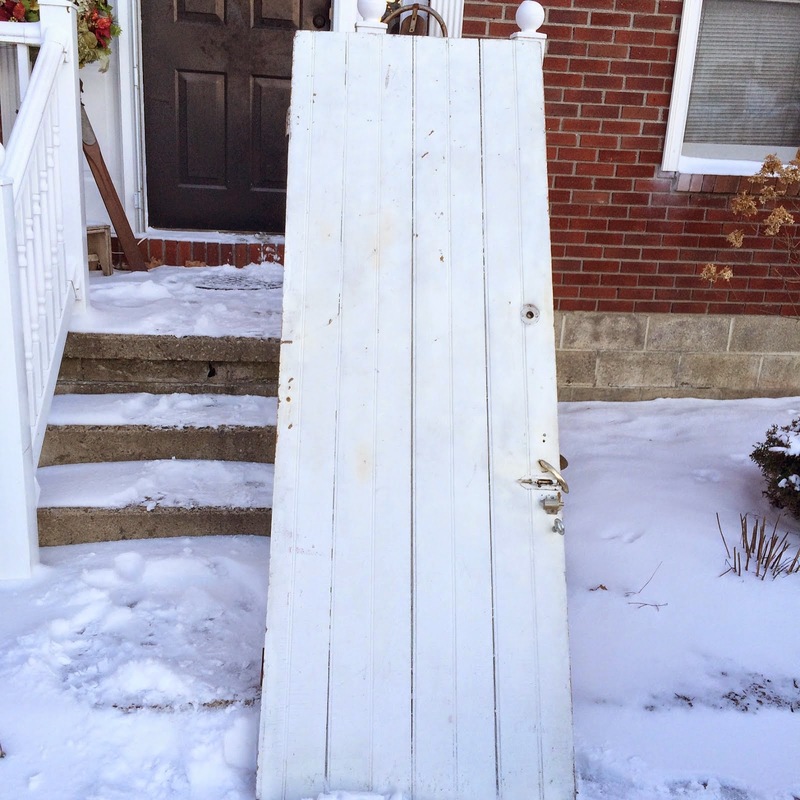 Let's talk vintage! Ivy and Elephants for "what's it Wednesday"
Love the buttons! 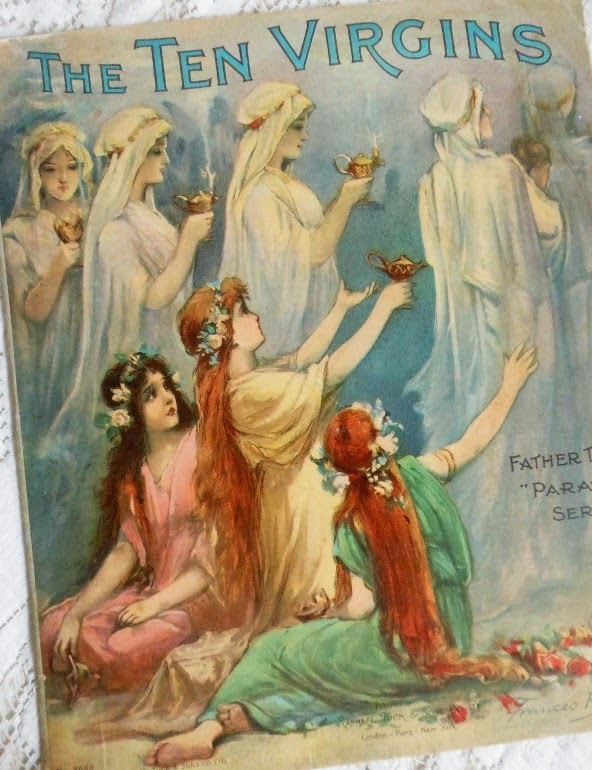 I have a bit of a stash of these treasures and have toyed around with them, separating them into colors and like kinds. Some are real works of art. So blessed to have inherited my grandmother's many tins of buttons. Great feature! Hope you haven't been too buried in the snow this week. For us in Vineland, it's pretty much been a bust. Snow this morning, but not more than an inch or two expected. 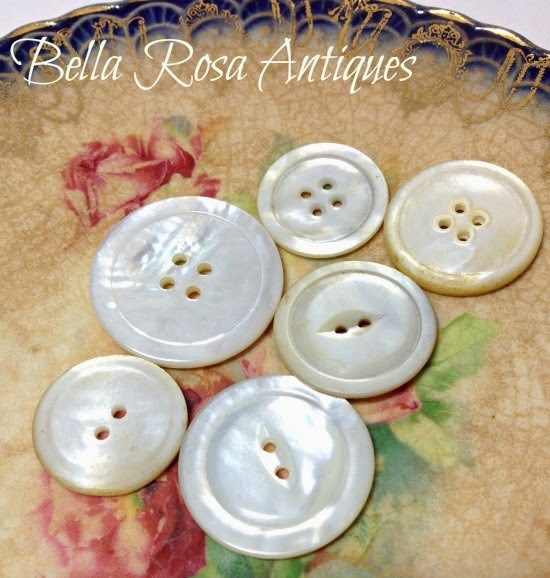 Your mother of pearl buttons are so pretty. Thanks so much for hosting and have a great week! Good morning Jillian. Thank you for Lets Talk Vintage no. 16. Nice to see your collection with a bit of 'how they were made' added. Have a great week. aww - thanks for the feature. 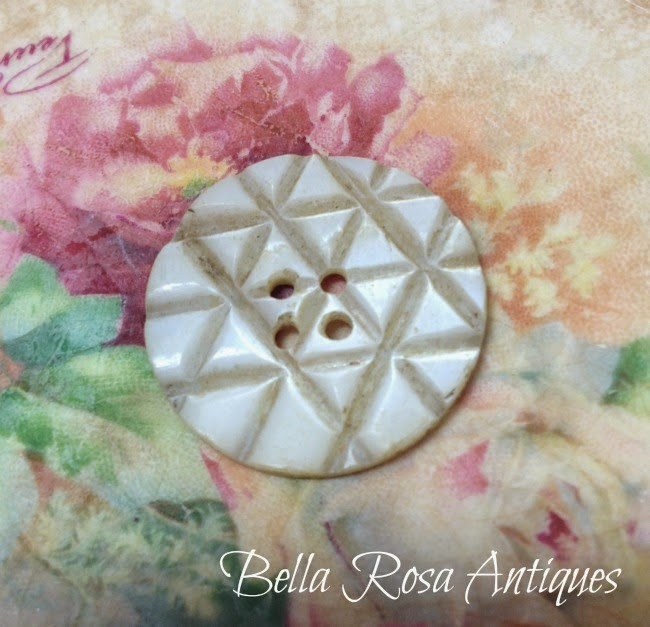 Love old buttons! 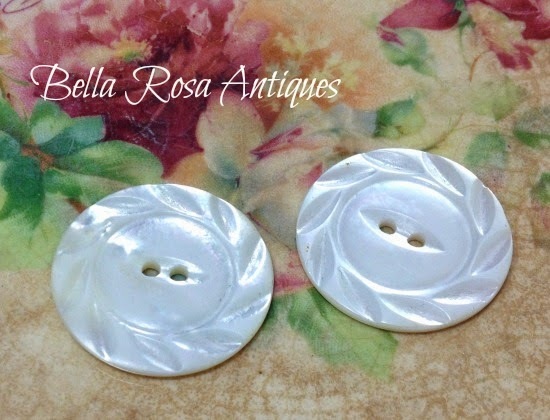 The buttons are just fabulous! I have some, but not with the patina and detail you have. Sooo pretty! Fabulous collection of M.O.P. buttons! I have a few and love them as well. Happy to be joining in the fun this week! I love MOP buttons and buckles. Yours are beautiful. I collect them, too. I especially love the buttons when I can find them on their original cards. Thank you so much for the feature of my patterns. Hope you have a super week! Absolutely in love with my new mug and the little butterfly you added in the package is so lovely:) Thank you so much! 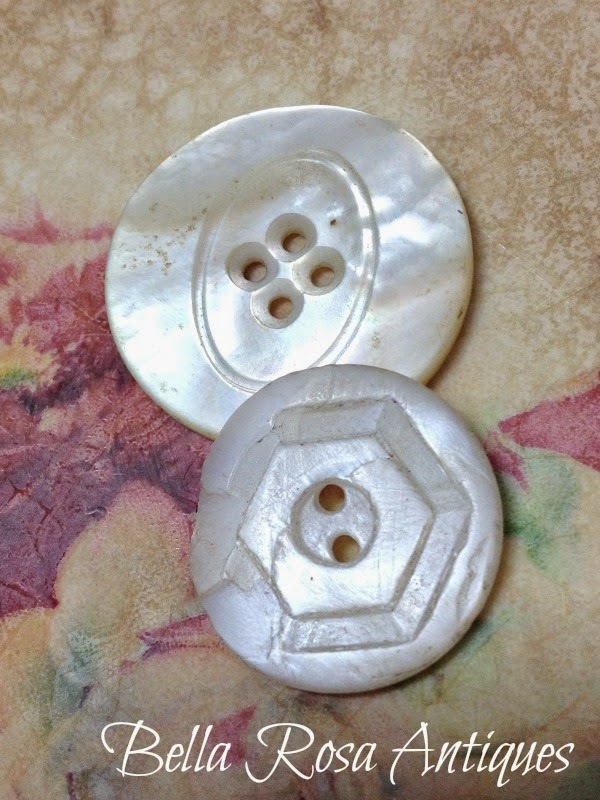 I've always loved mother of pearl buttons, especially the old carved ones. 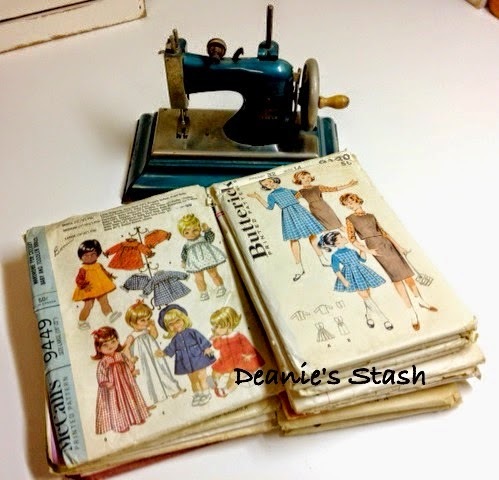 Thanks for sharing them at Vintage Inspiration Party.